If you know our party style, you know we’re all about pre-planning and prep-work. Why are you laughing? It’s true. Just because we occasionally misplace our pants and, OK one time, tried to ride a mechanical bull all the way home, doesn’t mean we don’t put in the effort when necessary. Case in point: EDC. This is one event where setting plans can keep you from wasting a lot of precious dancing time. So from the car ride to the eventual crash, let’s take a look at some plans you can make to keep your EDC on track. We’re hoping this is their own car they decorated. Probably don’t do this to a rental. Photo courtesy of Insomniac. This is a pretty important one. 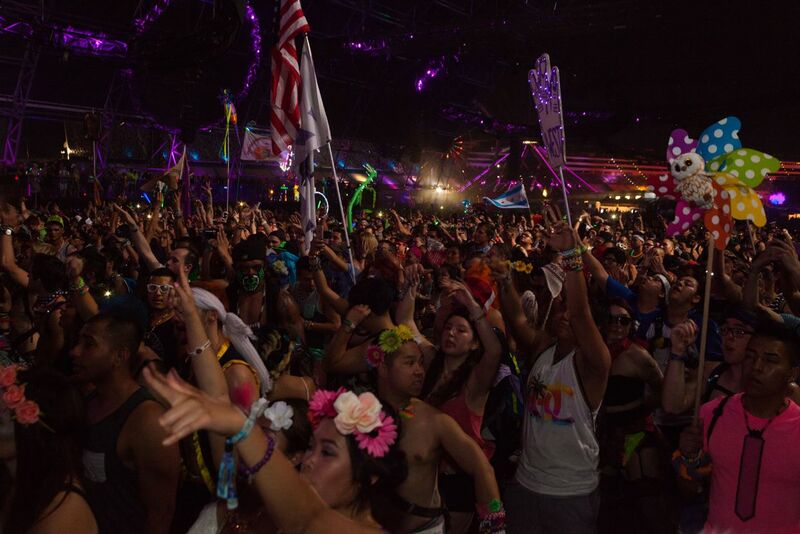 Not to go all existential on you, but you can’t be at EDC if you’re not there. That’s a direct quote from Buddha, ya know. Big EDM fan. You’ve got lots of options to get yourself to the festival, some more thrilling than others – some much more costly than others. But whatever you choose, don’t wait until the day of to get things going. This is always a good option. Carpooling is a must, and it does take a while since the roads are crowded, but you get to cheer with other fans and decorate your car however you want. That’s also an option if you’re riding in a friend’s car, though probably ask them first before you paint something over their back windshield. The Upside: Freedom to leave when you’re ready and to always know how you’re getting home. The downside: Parking lots are somewhat far away from the entrance, but if you have a problem with lots of movement then maybe EDC isn’t for you anyway. Taxis and drop offs are an option as well, and drop off zones are easy to access. Insomniac is also having a promotion with Uber to offer free first-time rides up to $20. These options let you show up when you want and not have to worry about parking or gas. The Upside: No worries about your own car getting bumped or scratched or running out of gas. The Downside: You have to wait for a pickup and it won’t be super cheap. These are often the go-to for EDC-goers-to, especially those staying on the Strip. They’ll pick you up from several different hotels on the Las Vegas Strip and Downtown and take you right to the festival. Just be sure to buy your passes in advance, they are separate from the entrance tickets. And watch the schedule so you know when you want to return to your hotel. The Upside: Super easy, especially if there’s a pickup at your hotel. The Downside: Passes are selling out and you’re limited by the shuttle schedule – returns don’t start until 2 a.m., if that’s a problem for you. What more do we really need to stay about this one? Maverick Helicopters has the hookup if you’ve got the cash. The Upside: It’s a freaking helicopter. The Downside: It’s quite costly – but it’s a freaking helicopter. We see this every year. Don’t do this. Seriously. We get that it looks like three inches on Google Maps, but it’s actually a long, long way out there. And it will be hotter than a curling iron at a lava convention. So just don’t try it. 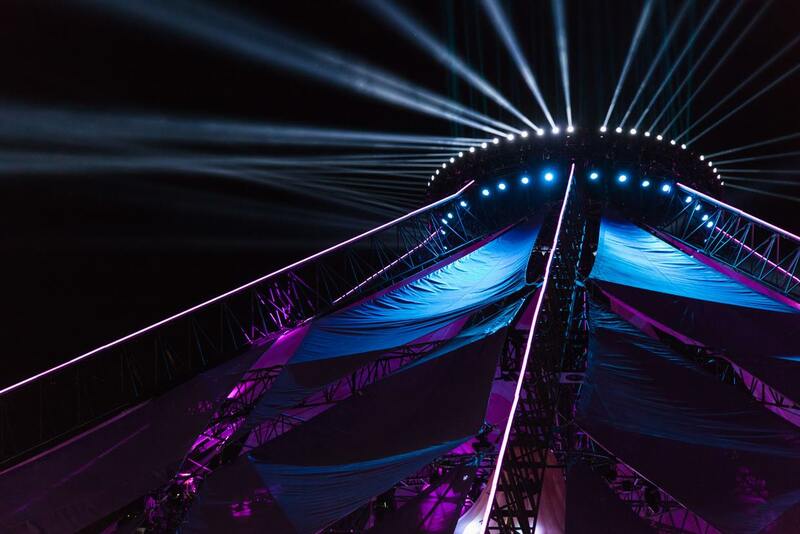 Be sure to check Insomniac’s Site for the latest info on shuttle passes, departure/return times and more. The moment you step inside, it’ll all be worth it. Photo courtesy of Alonzo Wright. Once you’ve arrived at the festival grounds, it’s important to be ready to actually go in. If it’s your first time, it’s important to remember that it takes a while to get through the lines and actually make it to the festival. This isn’t a big deal, pretty par for most festivals of this size. We just want you to be aware. Follow the crowds and you’ll be fine. Our friend is wearing something bright and flowery. That should be pretty easy to spot, right? Photo courtesy of Alonzo Wright. On this note, don’t assume you’ll have a cell signal. And unless you have special access you probably won’t have Wi-Fi. Communication is key to keeping in touch with your friends and not missing out on each other’s adventures. They will not let you take this home. We asked. A lot. Photo courtesy of Alonzo Wright. This is sort of a reverse of the previous section on getting out there, but it’s probably more important. Plan your way to get back to your hotel or home. Don’t accept rides from strangers, no matter how much kandi they gave you. And don’t assume you’ll be able to walk right out and get a cab. Calling an Uber is easy and having a car waiting is cool. Just make sure it’s at least in the back of your mind. If Insomniac made a hotel, this is probably what it would look like. Photo courtesy of Alonzo Wright. We hope you have this one taken care of already. If you booked a hotel room then you’re all set. If you haven’t booked yet, good luck. You’ll find one but it might be more than you were hoping to spend. If you’re staying with friends, that’s cool. If you AirBnB’d, that’s awesome. If you were expecting to just bed down on the grass at the festival, well, they won’t let you do that. 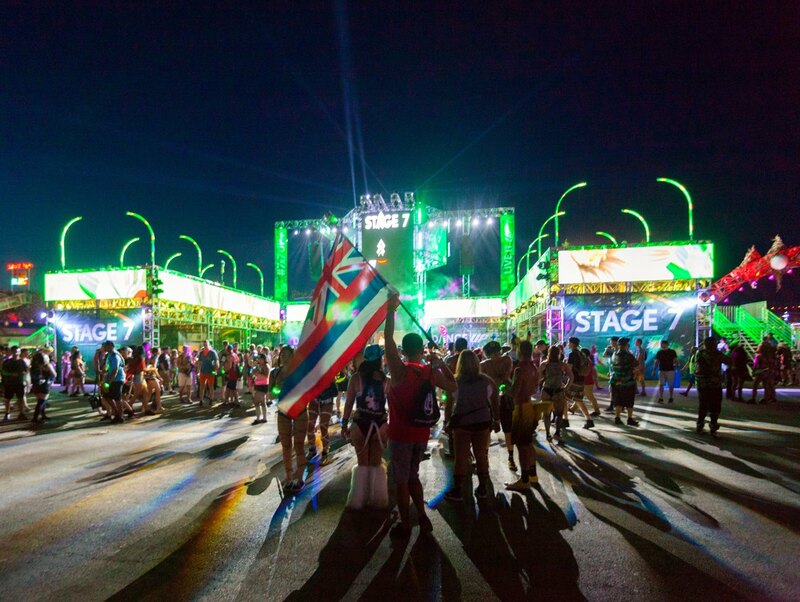 After you get back from EDC you’ll want a quiet place to hang and recharge. So if there’s anything slowing you down from picking your hotel, we recommend speeding that process up. Check out our Hotels Page for ideas. 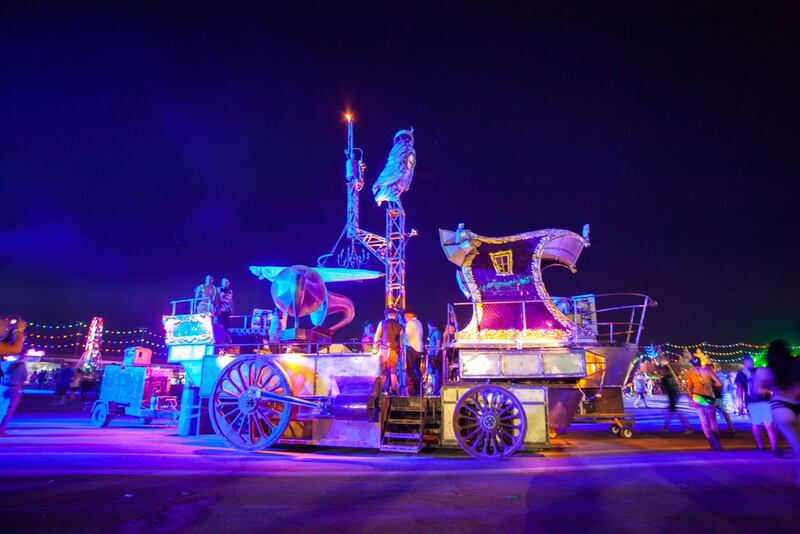 There’s so much to see and experience at EDC that people sometimes forget the pre-planning. The people that put it on have been planning since last year’s festival. The least we headliners can do is put in a few weeks of attention. Trust us, getting the logistics out of the way will make the party that much more enjoyable.